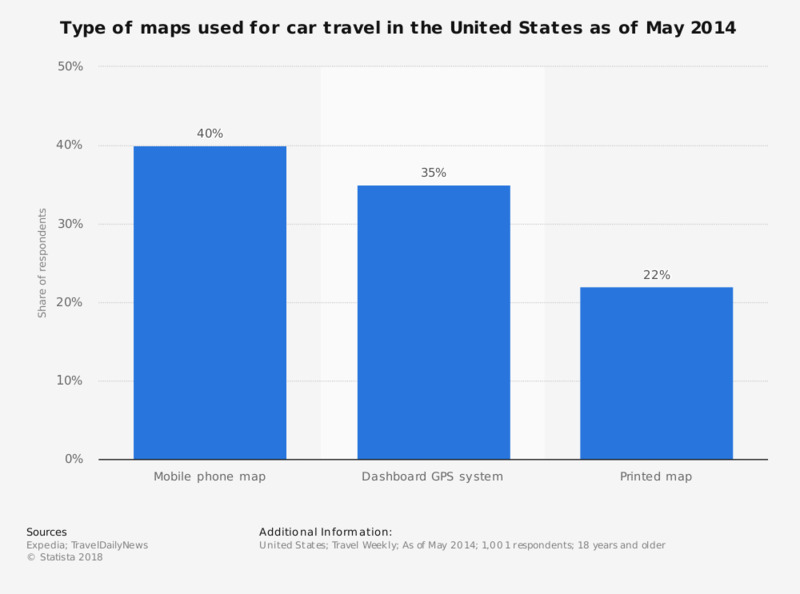 This statistic shows the type of maps used for car travel in the United States as of May 2014. During the survey, 35 percent of respondents stated that they used a dashboard GPS system during car travel. What worries you most when traveling abroad? Have you ever had a holiday romance or a romantic experience with a stranger you met while on holiday?